As we age, there is a greater emphasis on fitness to maintain health, independence and functionality. Physical activity on a daily basis is one of the best things you can do for your health. Controlling weight, strengthening bones and muscles and improving your mental health and mood are just a few of the benefits. You may also notice an increase in your ability to do daily activities. Any amount of exercise is better than none. If your current lifestyle is that of couch potato, any increase in exercise or physical activity is beneficial. I’m not talking about running a marathon or a strenuous workout each day. Start with simple exercises such as a 15-30-minute walk each day. Think you need more? Check out senior aging classes such as Silver Sneakers. Copper Sky offers fitness classes and water aerobics with seniors in mind. Choose a fitness program best suited to your needs and more importantly one you will stick with. What are your physical abilities? Do you have a medical problem that prohibits certain exercise? Are you confined to a wheelchair? Do you have mobility issues? A low-impact fitness program can be done from a chair or wheelchair. Not ready for a structured fitness program? Consider moderate- or low-impact exercises, something you might ordinarily do every day and actually enjoy like walking, biking, gardening or water aerobics. Attitude is important. Before you start any fitness program, ask yourself why you are doing this. Do you want to make lifestyle changes? Are you tired of being unable to perform everyday chores? Set your goals and keep track of your progress. Keep a chart on the refrigerator – that way when you reach for a snack you may think twice and reach for something healthy. Most important, check with your doctor before you begin any fitness program. Information is out there – just ask or go online. 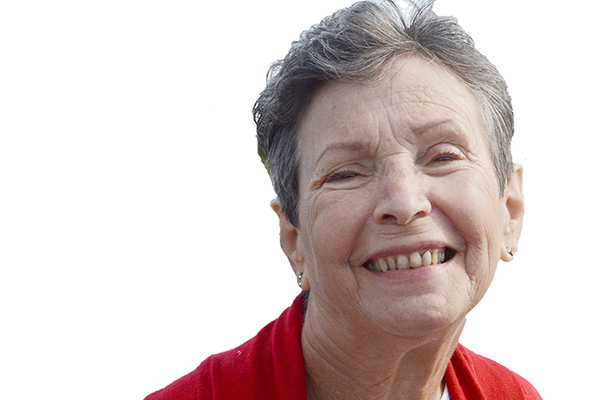 Joan Koczor is a senior advocate and a member of the Age-Friendly Maricopa Advisory Committee. Are seniors living the American Dream?